Staying dry and comfy in the rain is one challenge all UK hillgoers have to face. Modern waterproof and breathable fabrics are better at managing those comfort levels than ever before, and the latest innovation from WL Gore is no exception. Gore’s Gore-Tex is a well-proven provider of extremely high levels of waterproofness and breathability. The material has a 3-layer laminate construction, with a Gore-Tex membrane sandwiched between an outer material and an inner material. The Gore C-Knit is the new inner material, and it is this that promises the improved comfort. Compared to other 3-layer Gore-Tex, C-Knit reduces the fabric’s weight by 10 per cent and improves its breathability by 15 per cent, so there is less chance of condensation forming inside the jacket. 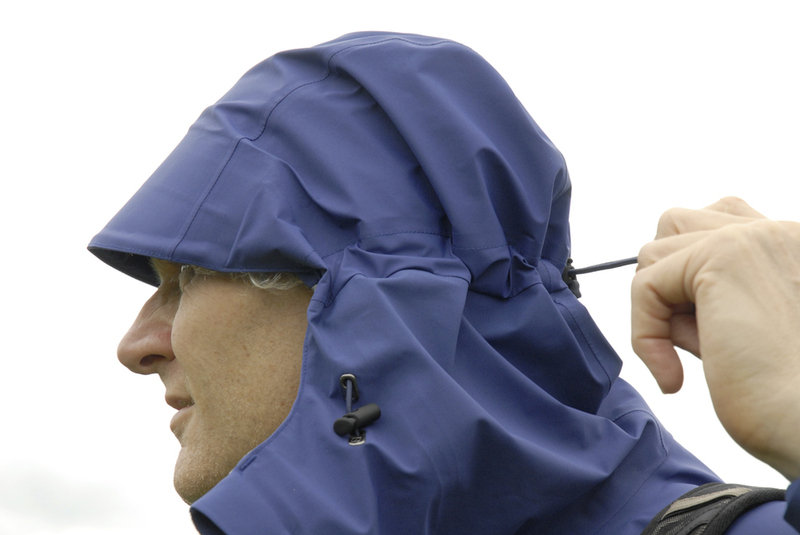 The material is just as waterproof as other Gore-Tex products. Another benefit is that Gore C-Knit allows the fabric to be softer and so it also feels nicer against the skin, such as when worn over a short-sleeved base layer. More importantly perhaps it also slides more easily over base layers and mid layers. This should all add up to more comfort when it is worn on the hill. To test the theory I’ve been using a new version of the (men’s-only) Berghaus Civetta jacket featuring Gore C-Knit technology. Compared to my normal Gore-Tex Pro Shell jacket it certainly does feel softer and suppler in the hand. It is light too at just 446g for a well-featured size L jacket. The new jacket has controlled condensation well; but then, to be fair, so does Gore Pro Shell – however it is nice to have that extra suppleness and thinner, lighter feel to the fabric. So why would anyone still buy a Gore Pro Shell jacket, and why would any manufacturer use the fabric, given it is heavier, stiffer and less breathable? The answer is that Pro Shell is more durable – so if you are a really hard user you may prefer to opt for longer-term performance. For me and most hillwalkers the Gore C-Knit technology is probably easily durable enough, though; but mountaineers and those who really hammer their kit may still benefit from choosing Pro Shell. Most importantly for me the Berghaus Civetta jacket is also well-designed, with a proper hood that boasts a wired peak, and fits and moves really well with the head. 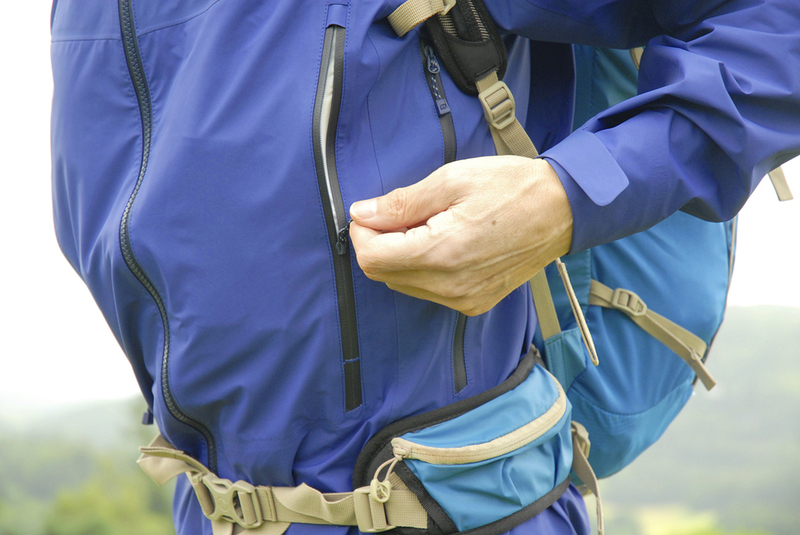 Then there are two superb pockets that can be easily accessed while wearing a rucksack hipbelt. So it’s not just about a great new fabric; it’s about a great jacket that uses a great new fabric – and that’s the real key to comfort outdoors. Gore C-Knit backer technology is yet another step forward to having fabrics that manage rain and condensation better than ever before. But for real comfort on the hill those fabrics have to be built in to a great design – and this new version of the Berghaus Civetta jacket proves that is possible. Comfort on the hill just took another step toward perfection.